Two way Pallets are manufactured to a high standard using timber from a sustained source. Usually less expensive as less wood is used in their construction. They can be (ispm15) heat treated for export if required, all bespoke size are catered for, with large or small orders being welcome and lead times of 7-10 days. 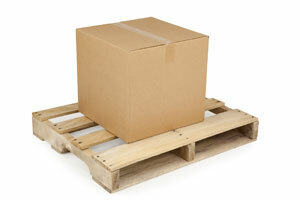 If you cannot collect your Pallets we can arrange delivery to any location at competitive rates.